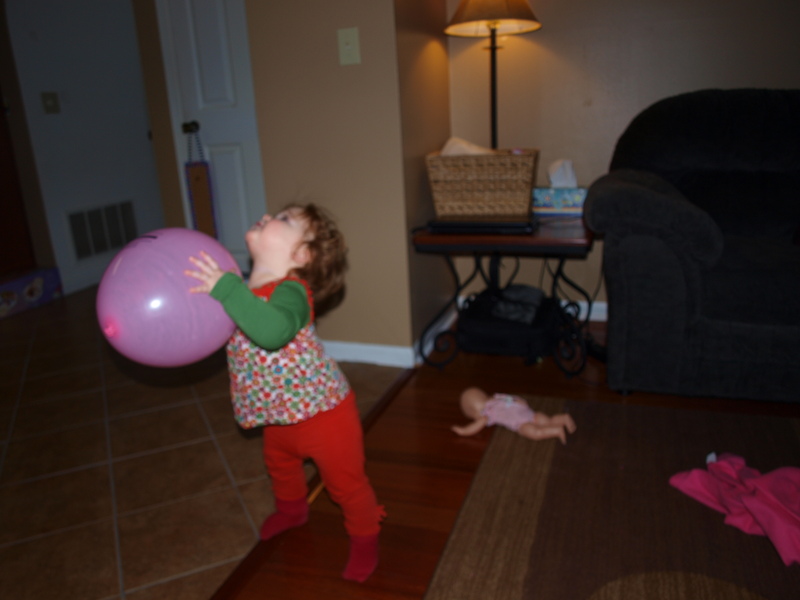 The littlest pea and a pink balloon…. 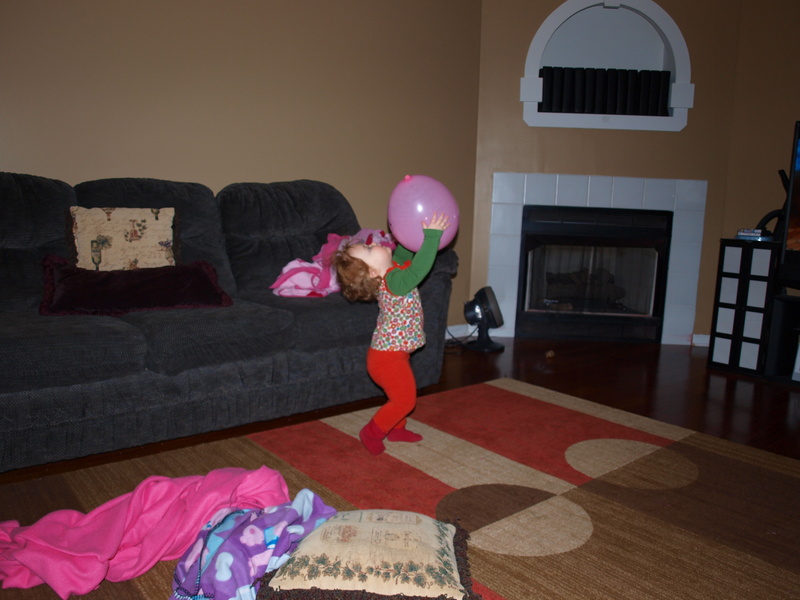 Last week the oldest pea had her biannual dentist appointment and came home with a balloon. 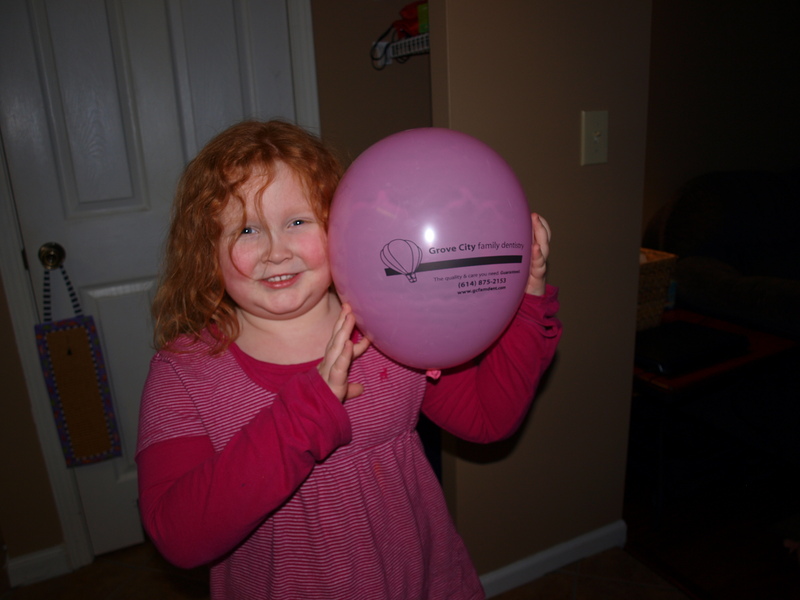 With no cavities and a great report to celebrate she gave her balloon to Phoebe and was so happy to share. Phoebe was ecstatic I never heard her giggle so hard in her little life. I should have grabbed the video camera! But instead I grabbed the trust Mamaratzzi Cam. 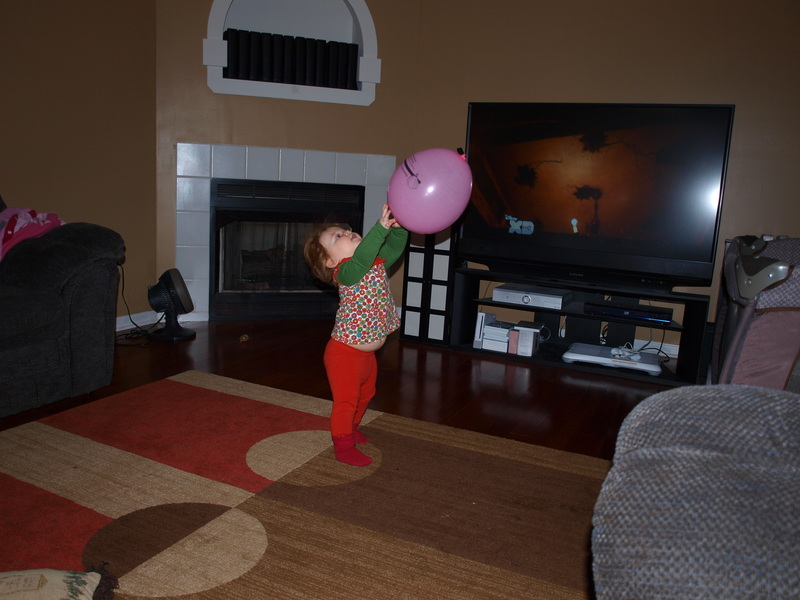 One word this little pea can say very clearly is balloon so she just kept saying it over and over throwing the balloon up in the air! 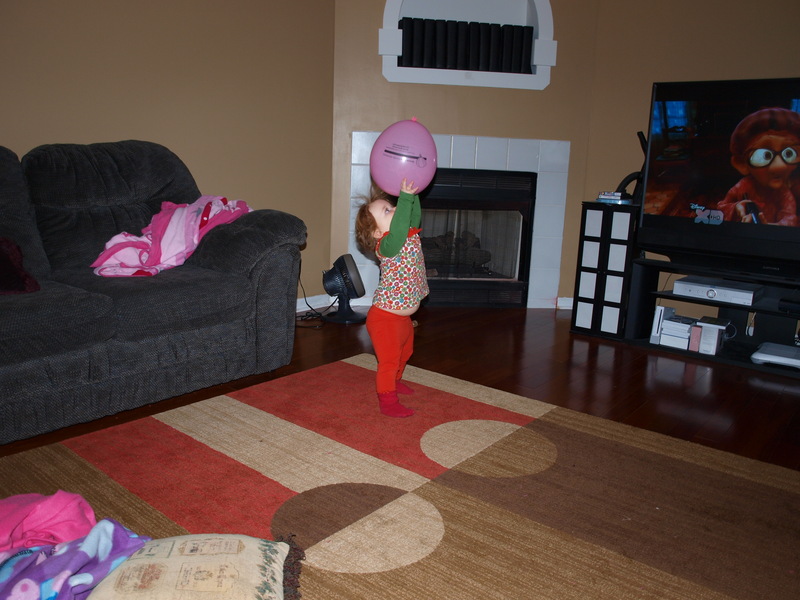 Her head kept going up too it was too cute……. 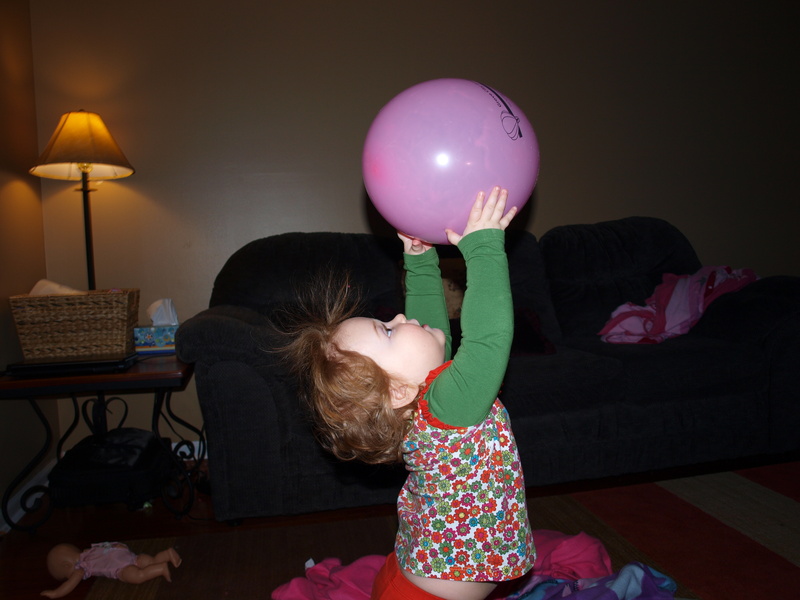 All it took for my baby girl was a little balloon she played with this all night. As much as she giggled we all giggled with her. She slept well this night she wore her little legs out! Sadly the balloon only last three days, but if it lasted too long the next balloon wouldn’t be as special! ← The never ending battle of hair returns!